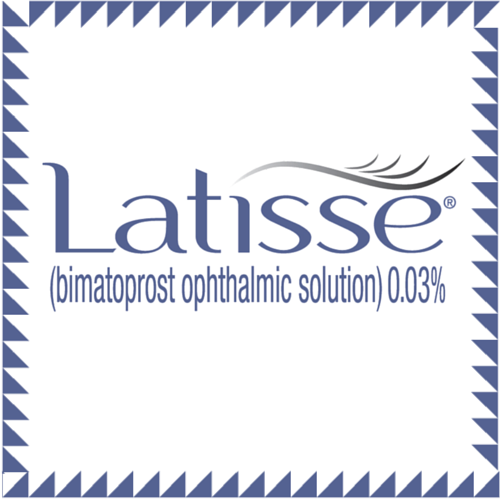 You should not use Latisse if you are allergic to it’s ingredients. Also, tell your doctor or eye care specialist if any of the following apply to you: Previously diagnosed with eye pressure problems; currently taking medication for eye pressure problems; have risk factors for glaucoma. The safety and effectiveness of Latisse was shown in a clinical trial. It is FDA approved and only available in a doctor’s office. It is not FDA approved for any area other than the upper lash line. What are the possible side effects with Latisse? The most common side effects after using Latisse are eye itching or redness. These were reported by a bout 4% of users in the clinical trial. Other less common side effects include skin darkening along the lash line, dryness, or redness of the eyelids. After removing makeup and contacts, remove an applicator from the tray. Then, holding the sterile applicator horizontally, place one drop of Latisse solution on the area of the applicator closest to the tip, but not on the tip. Then draw the applicator carefully across the skin of the upper eyelid margin at the base of the eyelashes going from the inner part of your lash line to the outer part, like an eyeliner. Blot any excess solution beyond the eyelid margin. Dispose the applicator after each use. This is repeated every night. It is not expected to cause harm. Don’t rinse your eye. Be careful to keep the tip of the bottle or applicator from touching your fingertips, objects, or surfaces in order to avoid contamination. Your lashes are expected to return to their previous appearance over several weeks to months. You should start to see results in 8 weeks with full results in 16 weeks.